Franco has 30 years experience in the film and television as writer, director and producer. His productions have won numerous awards including an Australian Film Institute Award for Best Miniseries/Telefeature, ATOM Award for Best TV Drama Series, Best Documentary RomeFictionFest and Gold Remi Awards at WorldFest in the U.S. They’ve screened at national and international film festivals including Venice FilmFestival and licensed to over 100 countries. His drama work includes Waiting ‘Round Wynyard, La Scala Lo Scalone and Bad News Bachelors; the ground-breaking anthology series Under The Skin; the miniseries Three Forever and the feature film Big Mamma’s Boy. His factual programs include landmark A Change of Face; The Joys of the Women; No Milk, No Honey; Hoover’s Gold; Who do you think you are? – Ita Buttrose, Dennis Cometti; The Fabulous Flag Sisters; Skin Deep; Who's Been Sleeping In My House? ; the dramatised-documentary Constructing Australia - Pipe Dreams and the part-animated feature-length Death of the Megabeasts. He’s held senior industry positions: Drama Development Executive ScreenWest; Commissioning Editor SBS Independent, Executive Producer Film Australia, Director of the WA Screen Academy, School of Communications & Arts, Edith Cowan University. 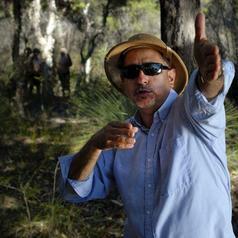 He is a Pioneer member AFI/AACTA, current Board Member of the Film & Television Institute (W.A.) and Patron of the Armadale Film Festival.